Happy Friday! I hope everyone's 4th of July went well and you saw some nice fireworks. 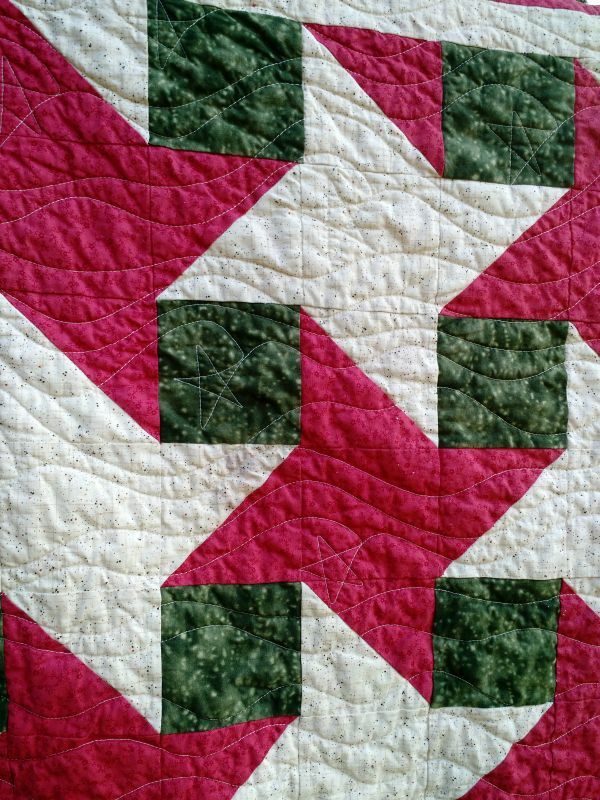 This week's quilt is a subtly holiday themed one for Covered in Love. This is another top made by Jannette from Canada and quilted by a Texan longarmer, Meloney. Thanks ladies! 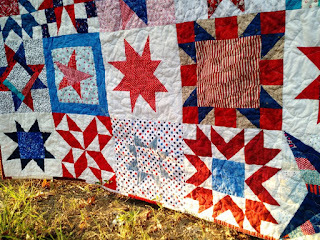 Meloney did beautiful quilting of wavy lines interspersed with stars that really bring a nice texture to the quilt. I love how simple and striking Jannette's interlocking pinwheel design is. 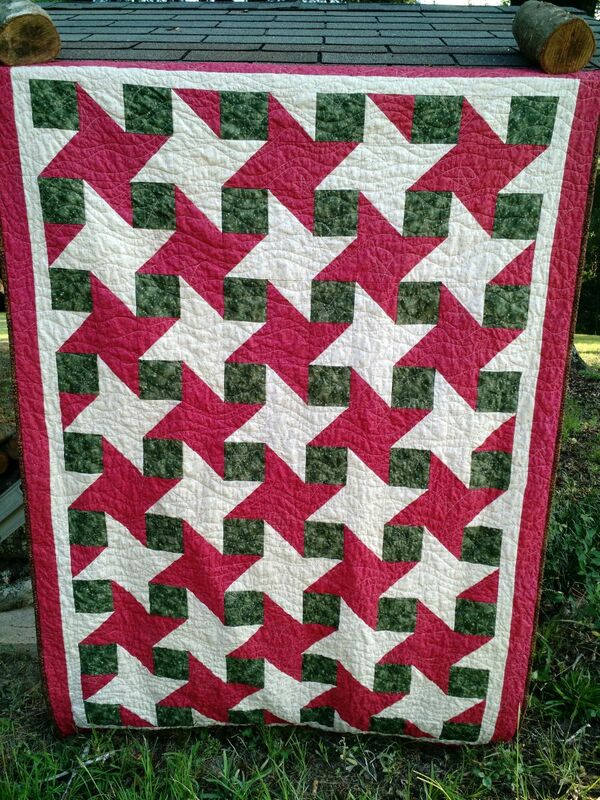 This quilt is in the stack for the next CiL delivery to the hospital where it will comfort a grieving family. Thank you to Jannette, Meloney, and everyone else who keeps CiL running! The new Covered in Love block drive just began and it's a red, white, and blue star free-for-all. This drive will run until the end of August if you want to help out. More info here! 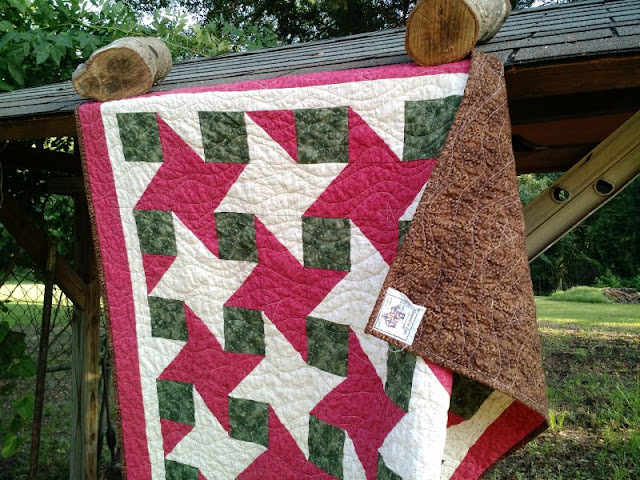 Linking to Crazy Mom Quilts and Confessions of a Fabric Addict. That's a really pretty quilt that Jannette & Meloney made. It will bring comfort to a family who needs help in relieving stress at this time in their lives. 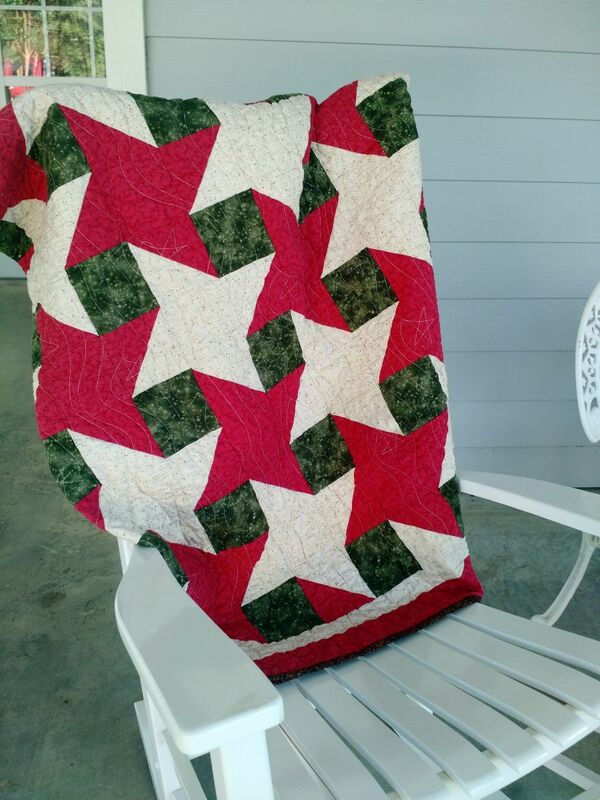 I love the way the stars show up - I mean, is it a white star quilt or a red star quilt, makes it so interesting to look at. Well done!